Dr. Adigun is a national expert on nail dermatology. One of her areas of expertise is gel manicures, and she wants you to keep your hands safe while getting them. 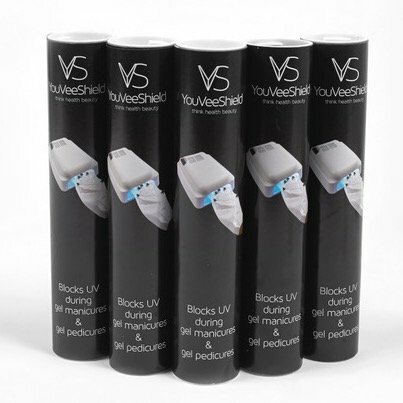 She surveyed the field for products that can protect your hands from the damaging UV rays of the lights used to cure the gel nail polish, and she found YouVeeShield: inexpensive, small, disposable, anti-UV gloves that you wear during gel manicures. YouVeeShield has been certified to block 99% of the UV light with a UPF 50+ certificate issued by the Solar Light Company. The .003 inch shield is made of FDA-approved materials including titanium dioxide, giving the shield its white color and UV-blocking capabilities. Light Measurement Specialist George Richardson at G&R Labs has confirmed that YouVeeShield blocks 99% of UV Light emitted from the UV/LED Lamps examined. 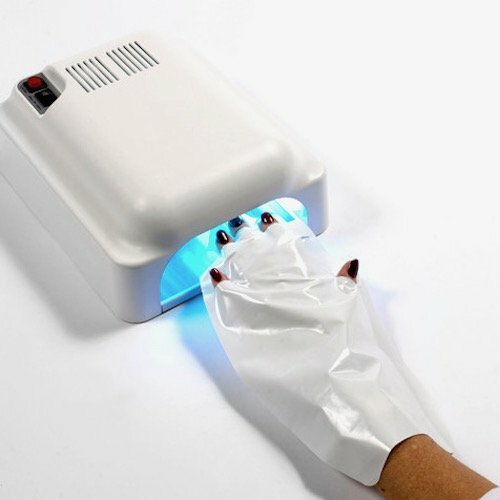 The reflections from the glove at 365nm (UVA) are negligible for both the LED and UV Lamp sources. Read: the light is not “bouncing” out of the lamp because of the Shield. Call our office at 919-942-2922 to buy your YouVeeShields today. We have them in stock.